Metabolic Balance is a structured nutritional programme that rebalances and resets your metabolism, supports you in increasing your energy and vitality, and helps your body burn fat as you move towards your weight loss goals. A personalised eating plan is designed for you, based on your current health status, your medical history and the foods you like. Following this programme can help you reboot your metabolism, rebalance your biochemistry and support you in achieving weight loss, and learning weight management skills, that can be maintained for a lifetime. The science of Metabolic Balance is based on information taken from your initial assessment and the unique results from your blood tests. An innovative algorithm produces your personalised eating plan that is designed to naturally balance your hormones, enzymes and your health. This becomes your personal formula for weight loss success. Helen West and Sue Camp are both accredited Metabolic Balance Coaches and they will support you every step of the way through your lifestyle and health transformation, providing tips and ideas to keep you on track. Why Metabolic Balance with WeightMatters? 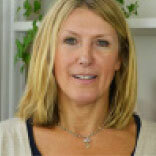 Helen West our dietician has 18 years of clinical experience of helping people manage their weight. 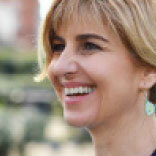 Sue Camp is a highly experienced nutritional therapist who trains and coaches other practitioners. We discuss your personal goals, explore your current health and medical history, and discuss any allergies, sensitivities and your food likes and dislikes. We then take a full body composition analysis, before sending you up the road for your blood screen. Here you will discuss your personalised eating plan based on your unique blood analysis results. This consultation will cover both Phase 1 (cleansing phase lasting 2 days) and Phase 2 (focussed adjustment phase lasting 14 days) of Metabolic Balance. Helen or Sue will familiarise you with your plan and answer any queries you may have. Helen or Sue will continue to encourage and motivate you in changing your lifestyle, creating new healthy habits and educating you on what is happening in your body. This engagement is essential in the success of Metabolic Balance, and they will go the extra mile in supporting you to navigate the ups and downs of eating and socialising that is part of your life. Why Is Metabolic Balance So Successful? Metabolic Balance creates change in your physiology, behaviour and appearance, which in turn creates improvement in self-esteem and self-confidence. Your programme is designed especially for you; no two programmes are the same. The optimal food chemistry of your plan is matched carefully to meet the needs of your personal body chemistry. The food combinations on your plan are designed to naturally diminish your food cravings, so that you establish your natural attunement to healthy signals of hunger. You will feel fuller for longer and learn that eating smaller portions satisfies your hunger. Metabolic Balance works fast. You lose fat and weight quickly, and this inspires you to stick with your new eating plan. Positive results and a greater sense of vitality shift your mindset into one of energised commitment, where new healthy habits are learned. You feel great and a new healthy balanced lifestyle emerges. You are not alone. Sue and Helen are both accredited Metabolic Balance coaches as well as a Nutritional Therapist and Clinical Dietician respectively. They will support you every step of the way through your weight loss journey. Sue and Helen will teach, guide, encourage and motivate you to change your lifestyle behaviours so that you maximise the benefits of Metabolic Balance. I was 158kg, and it felt like there was nowhere to go - my only option was to go for a gastric bypass. Luckily I decided to try one more time to get professional help. After days of research I have found WeightMatters, and after meeting with James, decided to sign up for the Metabolic Balance Plus programme. Helen was my MB coach and James gave me psychological support. Since day one, I was able to easily lose weight. After 4 months on the programme, I have lost 33Kg, and my weight is still dropping. All of my friends started to tell my that I have an iron will, but the truth is, its not me. The diet is balanced so well that I feel full, and I have learnt how to change my eating and lifestyle habits. The team here at WeightMatters are great, and I would recommend them to all my friends. How Is Metabolic Balance Structured? Metabolic Balance is a 3-month programme that is divided into four phases. As your hormones rebalance and you lose weight, your head and your behaviours need to change too. Each phase of Metabolic Balance is designed to support you transition naturally in mind, body and behaviour. You will gently detoxify your body for two days. This cleansing process helps prepare your body for Metabolic Balance. This phase will last for a minimum of two weeks and a maximum of four weeks. Your body will begin to adjust to your new healthy nutrition. Our clients often see improvements in vitality and energy, as well as significant weight loss during this early phase. As your metabolism starts to rebalance you may notice energy dips and hunger in the first week of Metabolic Balance, but this will quickly pass. Exercise is not recommended during this phase as it is a period of re-adjustment for your body and we are trying to encourage your body to use fat as its form of fuel instead of carbohydrates. Gentle walking & stretching is fine. Additional food items are added and a ‘treat’ meal can be introduced each week. During this phase clients report further improvements in wellbeing, increased energy and weight loss. Many notice reduced hunger and cravings for foods they once desired. Exercise is encouraged and slowly re-introduced at this stage, based on your level of fitness and exercise preferences. You are not alone. Sue and Helen will continue to help you manage events like holidays, celebrations and eating meals in restaurants, so you can maintain your weight loss and build your confidence in how to eat well in any situation. They are both accredited Metabolic Balance coaches, Sue is a Nutritional Therapist and Helen is a Clinical Dietician, so your ongoing health management is in safe hands. They will support you every step of the way through your weight loss journey. How Do I Get Started With Metabolic Balance? Simply complete the enquiry form on this page, and our Client Support team will be in touch. Once we have confirmed session times, we will send you some preparatory documents to complete prior to your first session with Helen or Sue. You may have some questions about whether Metabolic Balance is right for you? No problem, we can arrange for you to have a 10-minute call with Helen or Sue so they can answer any of your queries. We have created three types of Metabolic Balance packages, with increasing levels of support and analysis.